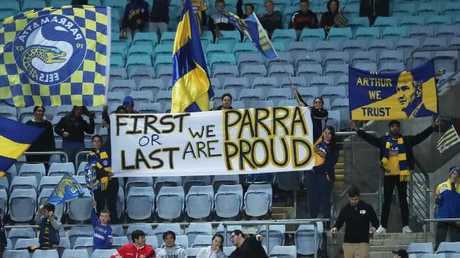 THE Parramatta Eels have wrapped up another miserable season by "winning" their 14th wooden spoon in 72 seasons. That's close enough to once in every five years that they have been the worst team in the premiership. This is a "record" no club would be proud of in a competition in which it is all about building for sustained success. You can't win premierships or be as good as Melbourne Storm every year but you can at least be competitive. 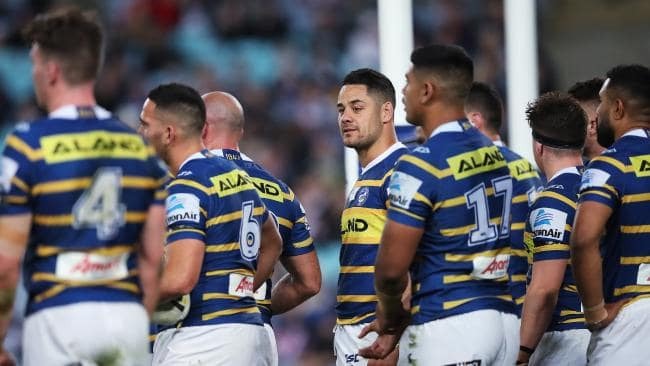 What the Eels have dished up this year has been totally unacceptable. Especially a club that is backed by a thriving leagues club and has a massive junior league that their rivals would kill for. A club many of us tipped to make the top eight and possibly the top four at the start of the season. I looked back at our pre-season tips. I had them running sixth, Bulldog Ritchie third, Kenty fifth, Dave Riccio fifth, Paul Crawley fifth, Mick Carayannis fifth, Matt Logue fifth and poor old Nick Walshaw had them winning the premiership. The Eels board is now finalising a strategic plan for the future. There will be a sharp focus on the Eels' junior rugby league nursery, which is second only in size to the Penrith Panthers. It's okay to be moving into the magnificent new Western Sydney stadium next year but fans want results. This is a business where winning is everything. Fans will not buy seats and memberships if the team is performing as poorly next season, no matter how good the home ground is. What we have seen in the past two weeks (conceding 88 points against the Cowboys and the Roosters) has been dreadful. 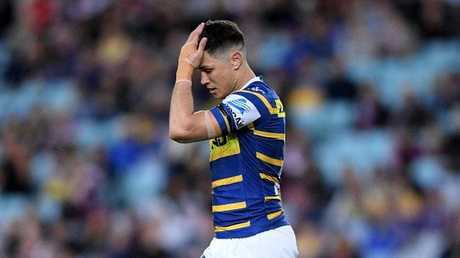 The halves, Corey Norman and Mitchell Moses, are soaking up more than $1.6 million of the salary cap yet playing like park footballers. Moses' kicking game against the Roosters would be unacceptable in under-14s. Fifth-tackle kicks went backwards or into touch on the full. Either Norman or Moses has to go. There are other players in the team who just aren't ­having a go. 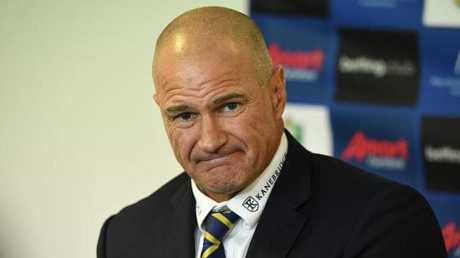 As coach Brad Arthur said after the game: "I'm glad it's over. We can't be too quick to dismiss it and turn a blind eye to it. The feeling we all have at the moment is more than enough motivation and drive to ensure it doesn't happen again." Arthur's job security will be the subject of much debate in coming weeks. Everyone is accountable but he deserves to stay because he has held the club together in trying times for three years with the salary cap scandal and boardroom unrest. The board will make a long overdue major investment into a football club restructure. It will ensure the coach has no more excuses. Chief executive Bernie Gurr arrived with a great reputation but has done little in two years. He, too, needs to lift his game. This football club has to start again and build for sustainable success. Wooden spoons should be for the clubs without money and juniors.